Acclaimed international musician and Pensacola native Mark Markham caps the 2017 Kamerman Piano Series at 2:30 p.m., Sunday, March 26, in Pensacola State College’s Ashmore Auditorium, Building 8, on the Pensacola campus, 1000 College Blvd. 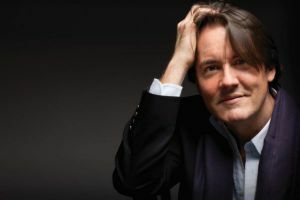 Recognized as one of the great artists of his generation, Mark Markham is equally at home as a soloist, collaborator, classical and jazz pianist, and vocal coach. His performances have been praised for his brilliant technique, rich tone and abundant power. Markham’s career encompasses performances around the globe as well as solo recitals at the National Gallery of Art in Washington, D.C., the New York Public Library, the Baltimore Museum of Art and the Getty Museum in Los Angeles. Since 1995, Markham also has been the recital partner of Jessye Norman, giving nearly 300 performances in more than 25 countries including the 2002 Nobel Prize presentation to President Jimmy Carter in Oslo, Norway. In 2016, Markham received the Distinguished Alumni Award from Johns Hopkins University and recently was featured as a soloist with the Lincoln Symphony Orchestra. Growing up in Pensacola, Markham was a student of revered music teachers, Robert and Trudie Sherwood, who were supportive of all his musical endeavors. He debuted in 1980 as soloist with the New Orleans Symphony Orchestra and then was invited by the renowned Boris Goldovsky to coach opera at the Oglebay Institute. For 10 years, Markham studied at the Peabody Conservatory, where he received bachelor’s, master’s, and doctoral degrees in piano performance. Tickets are $11 for reserved admission; $9 for seniors 60 years old and older, children and non-PSC students; $7 for PSC Alumni Association, PSC Seniors Club and PSC employees; and free for PSC students.